Cocoa farmers in Central America use scenario-guided policy planning to prepare local adaptation plans for their livelihoods. 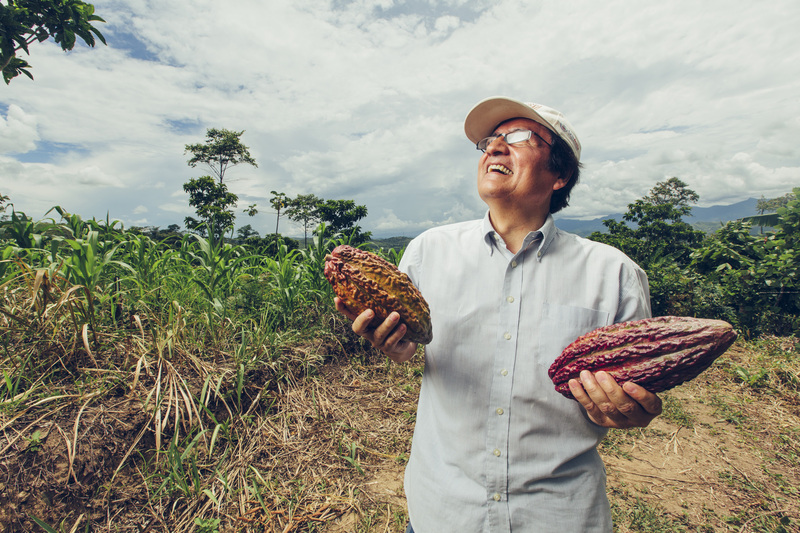 In a bid to get cocoa farmers in Central America better prepared for climate change, a research team decided to organise a workshop to introduce scenario-guided policy planning to get local adaptation up and running. Through the activities, the participating farmers' association leaders and policy planners came away with emerging local adaptation plans and a sense of what is needed to build resilience against climate change to secure cocoa for future generations. The Future Scenarios methodology has been developed by the CGIAR Research Program on Climate Change, Agriculture and Food Security (CCAFS), and the Oxford University. It is being implemented in Central America in collaboration with the University for International Cooperation (UCI). During the workshop, which was held mid-July this year in climate vulnerable Honduras, participants worked to visualise what the country could potentially look like in 20 to 30 years time given a myriad of various socio-economic, environmental and climate-related factors. The groups came up with some very optimistic but also quite pessimistic scenarios for their country. The idea is to work backwards from these scenarios, especially the scenarios that the country or region would like to attain. Negative scenarios give insight on the obstacles that might be encountered while driving a country towards more climate resilient food systems. Once you think about the future, you can start to make plans ​​to get ready for any of these scenarios. The meeting built on previous work done by the CCAFS Scenarios team. Last year, the team worked closely with the Honduran Ministry of Agriculture and Livestock (SAG in Spanish) to get the country’s agriculture sector ready for climate change using scenario guided policy planning for their national “Strategy for risk management and climate change adaptation for the sector of agriculture and livestock”. "For this workshop, the focus was on socializing a less technical and more practical, 'popular version' of the national climate risk strategy to farmers, using the scenarios methodology as a potential tool to plug in local knowledge and create local adaptation plans," said Marieke Veeger, who is based at the University for International Cooperation (UCI) and implements the scenarios work in the region." Several of the participants expressed true interest in both the scenario process and what climate change will mean for the region and farming. "When the producers asked me why my harvest was so bad, I didn’t know what to say because I didn’t understand what was climate change until this workshop. Now I know what it is, what produces it, and what should be done to tackle it. With what I've learned, from this workshop I can now answer the producer and I now have knowledge of how to mitigate these changes," said Rhina Campos, Quality Supervisor of Conacado Industrial, a cocoa company in Dominican Republic after the workshop. The Honduran activities are supported by the Coordinating Association of Indigenous and Community Agroforestry in Central America (ACICAFOC) and the Honduran Ministry of Agriculture and Livestock (SAG).